Smashbox Photo Finish Primer Water — I finally made the commitment to purchase the full size bottle. Originally at $32, I got it for half price. (Yes, for sales!) It’s my favorite primer right now. Mario Badescu Facial Spray — I found out about this product through beauty bloggers on Twitter and Snapchat. I saw it while waiting to checkout and decided to try it out. WOW. I’ve noticed a huge difference. A few spritzes and my makeup is set. It smells very good too – aloe, herbs, and rosewater. I highly recommend this one. 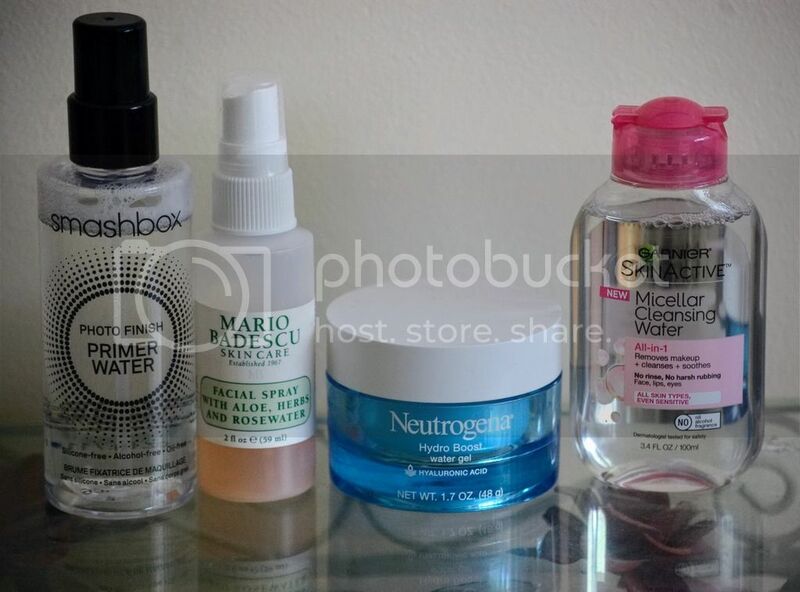 Neutrogena Hydro Boost Water Gel — After I wash my face, this is what I use to moisturize. Makes my skin feel extremely soft and fresh. A little goes a long way! Garnier Micellar Cleansing Water — A few drops and it’s an easy makeup removal. For me, it’s more cost effective than buying the makeup wipes. 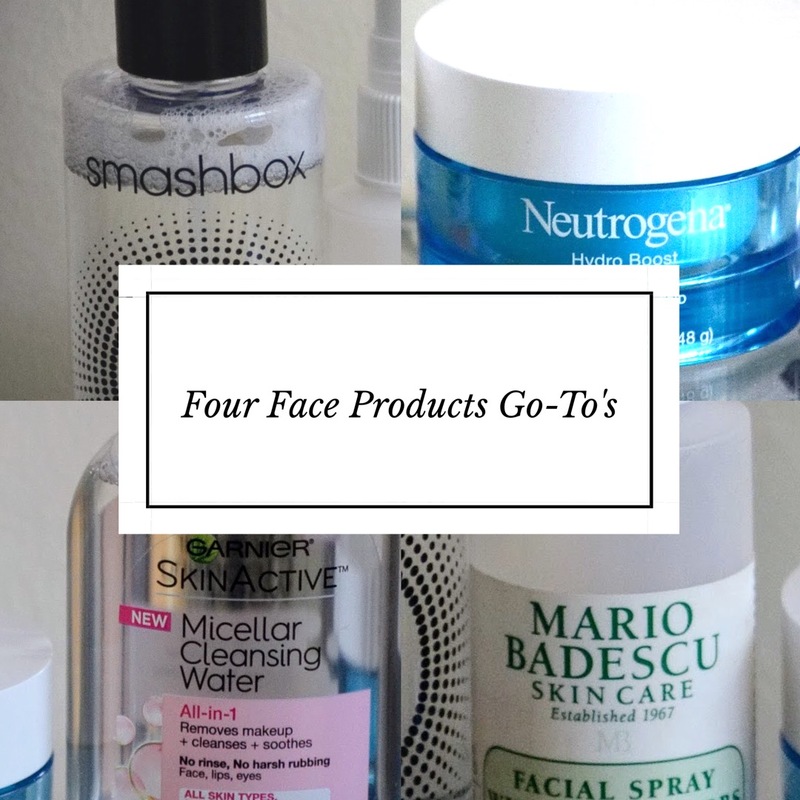 Which products are part of your beauty repertoire? What’s on your counter these days? Trying anything new? Let me know! The primer is what you put before makeup? I need one for the summer. I’ll try this!